Prosecutors have asked U.S. District Court Judge George A. O’Toole Jr. to provide Boston Marathon bomber Dzhokhar Tsarnaev’s lawyers, who are working on an appeal of his conviction, to keep the evidence secured. An appeals case regarding the murder of one suspect tied to the bombers, Ibrahim Todashev/Ibragim Todashev has also been dismissed. The claim in that case is that the student attacked the federal agent, but CAIR and other Islamic groups are defending the man. See their press release below. The Florida chapter of the Council on American-Islamic Relations (CAIR-Florida), the state’s largest Muslim civil rights and advocacy organization, today announced a challenge to the dismissal by the U.S. District Court – Florida Middle District in the case of Todashev v United States. The family of Ibrahim Todashev, represented by James Cook, Esq. and CAIR-Florida, will be filing the appeal. 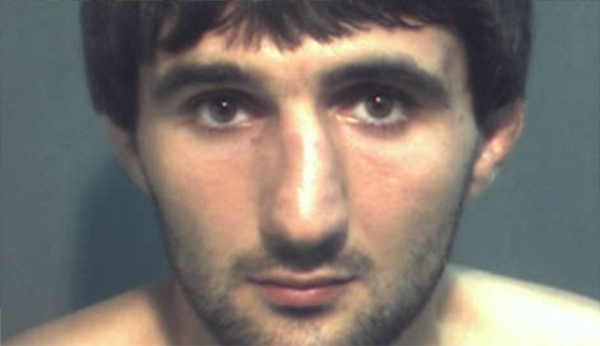 Mr. Ibrahim Todashev was shot to death inside his home by an FBI agent in Orlando, Florida in 2013. Todashev was in the U.S. on a student visa. He was a talented mixed martial arts amateur who trained at a Boston gym with, among others, the Harvard Wrestling Team and Tamerlan Tsarnaev, a deceased suspect in the Boston Marathon Bombing. There was no suspicion that Mr. Todashev was involved in the bombing. He was being questioned as a “person of interest” in a Waltham, MA drug robbery/murder in which Tsarnaev was suspected. In the evening of May 22, 2013, FBI agent Aaron McFarlane arranged to meet Mr. Todashev at his apartment for “a few final questions so we can close the case.” What followed was four-and-a-half hours of intense interrogation by four armed officers. The officers claimed that just before midnight, Mr. Todashev was about to confess some sort of involvement in the Waltham crime when he allegedly and without provocation attacked the officers with a broom handle. He was shot seven times by Agent McFarlane. According to one of the officers, Mr. Todashev allegedly ran at the officers at full speed holding the broom handle over his head with both hands. Agent Aaron McFarlane is a former Oakland, CA police officer who had joined the FBI after being granted immunity from prosecution for falsifying police reports in the infamous Oakland “Riders” case. As an Oakland police officer, McFarlane was successfully sued for physical abuse of civilians. Autopsy evidence was inconsistent with the police accounts. The federal district court would not permit the family to inspect the evidence other than heavily censored interview transcripts and a few heavily censored photos prior to dismissing the case. Family attorneys were not allowed to look at the video or examine other evidence. “No formal discovery was permitted to the Plaintiffs while inconsistencies in the government’s story were glossed over. We cannot stand still while the Orlando Federal Court denies Todashev’s family basic due process and proper access to the courts. The rule of law and justice requires that our courts act in a manner that inspire credibility and confidence in our system. This clearly did not happen here. The district court ignored the fact that no discovery had taken place and granted a dismissal. This decision must be reviewed by the Court of Appeals,” said CAIR-Florida’s Civil Rights Director, Thania Diaz Clevenger. There have been 150 other FBI shootings that have all been found “justified” as this one was. The family is appealing the court’s decision to the Eleventh Circuit Court of Appeals.